Graduation time is a very memorable event. Whether the graduation is for grade school, high school, college, grad school, or a trade school, graduating an institution of formal learning means you are going to be starting a new chapter in a life. For those who are coordinating their family’s end of graduation day, renting a limo is strongly suggested. There are a few (very good) reasons why you should book a limo service. Once you read the following few tips, you will probably pick up the phone right away to book a limo and driver. You actually do want everyone to arrive at the graduation. Okay, if mom and dad are driving their young graduate to the ceremony, they are not likely to get lost. Surely, they have been there before. What they might do, however, is end up being late or even very late. 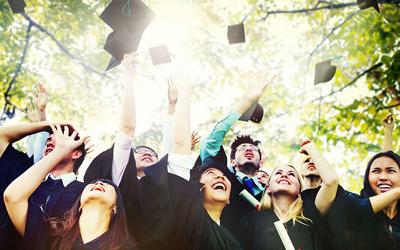 Arriving late to a graduation is annoying at best and can be disastrous at worst. Toronto is a major city and a major city can mean lots of traffic or accidents and what not. Dealing with problems such as these are best left to professional drivers, drivers who probably have already taken things such as this in consideration. They are going to be much more versed in when to leave and, hence, will prevent you from running unnecessarily late. A common error so many make is they have a relative outside the immediate family or a friend of the family handle the task of taking the graduate and others to the event. Mistake. Those who have been to the location of the commencement event before are not likely to get lost. Someone who hasn’t, well, the person might end up getting lost. Consider that another major disaster scenario. Riding in comfort is another huge benefit. A limo is most definitely going to be an enormously comfortable ride. Now, the trip to and from the graduation site might not be very long so concerns about comfort might not be present. Honestly, to have this attitude overlooks a few important points. Graduation time can be very stressful. There is a lot to think about. The comforting limo ride can put a lot of issue and woes to rest. A calmer mind is going to be one that can concentrate on other important aspects associated with graduation day. A limo ride can make a special event even more special. Graduating school is surely special without a limo ride, but the limo really does make the entire day a lot more special. The limo also offers the opportunity for unique photographs and videos and can put everyone into a festive mood. Once again, coordinating a graduation and graduation party can be stressful. The fun nature of the limo ride takes the edge off and helps remind everyone both much fun and how special such a day can be. Some things are best left to the experts. In this case, you want to leave all your graduation day transportation to a driver from a Toronto limo company. So, start with the booking arrangements today.